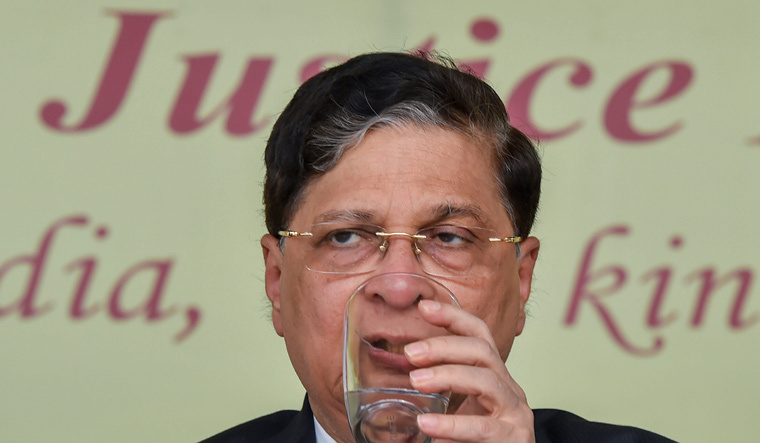 Chief Justice of India Dipak Misra's tenure at the helm of affairs in Indian judiciary has been eventful and controversial. With top judges of the Supreme Court virtually in a rebellion mode serious questions were raised about the manner in which Misra was running the court. However, the fag end of Misra's term—one month to be specific—is set to make news for some landmark judgments that he is expected to deliver before he demits office. Dipak Misra, who had taken over as CJI in August, 2017, demits office on October 2. September will see some significant judgments being passed by the apex court, including on Aadhaar, Section 377, adultery, ban on entry of women in the Sabaramila temple and whether a mosque is essential to practice of Islam—a question crucial for deciding the Ramjanmabhoomi-Babri Masjid case. A five-judge constitution bench had heard the case on the constitutional validity of Aadhaar and the judgment was reserved. An offshoot of the petition challenging the unique identity scheme was the top court declaring last year that the right to privacy is a fundamental right. A petition seeking a review of the Supreme Court's earlier judgment on homosexuality could also be decided upon during this period. Going by the tenor of the hearings, activists campaigning for decriminalisation of homosexuality under Section 377 are hoping that the apex court will rule in their favour. Also, the court's earlier order on privacy being a fundamental right has bolstered the petitioners' hopes in the homosexuality matter. A five-judge constitution bench headed by the CJI has heard petitions challenging the ban on entry of women of a certain age group into the Sabarimala Temple in Kerala. The judgment is reserved, and is expected to be delivered this month. A three-judge bench headed by Misra would be deciding whether the court's earlier ruling in the M. Ismail Farooqui case in 1994 that a mosque is essential to Islam is valid. The title suit though is not likely to be decided in the next one month. A constitution bench headed by Misra has heard petitions challenging the constitutional validity of the adultery law. The five-judge bench, which concluded its hearing in the matter on August 8, has raised questions about the law, including on how it has a patriarchal basis, considering a woman to be a “chattel of men”. It has said it would not read down the law, and would either let the law remain or strike it down. A judgment on a petition seeking disqualification of MPs and MLAs, and barring them from contesting elections if they face criminal charges is also expected in the next one month. The court is also likely to pass an order in the case seeking a review of its earlier judgment putting restrictions on reservation in promotions. A bench headed by Misra is also expected to give a decision on petitions seeking live-streaming of the proceedings of the court.